Brooklyn is becoming one of the most popular neighborhoods in New York, without a doubt. If you are looking for a neighborhood for your new family home, Carroll Gardens is one of the best options. 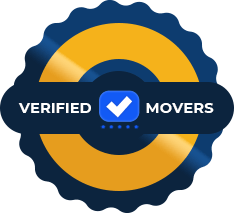 With our Carroll Garden movers, your relocation doesn’t have to be complicated or stressful. In order to move to your new home with ease, our moving company is here to offer you affordable local or long distance moving services. If you are moving to or from Carroll Gardens, take a look at how our Brooklyn movers can help. With just the right moving assistance, moving to Carroll Gardens will be a joyful experience! Besides Brooklyn Heights and Park Slope neighborhoods lays a beautiful Carroll Gardens, famous for its brownstone homes. If you want to move to Brooklyn but you’re looking for a small-town feel, you should consider moving to this neighborhood. The historic and charming homes and a great location make Carroll Gardens a perfect neighborhood for families. Here are some of the reasons why you should consider calling Carroll Gardens your new home. This Brooklyn neighborhood has a great location. On one hand, it’s very close to the river and on the other – it’s surrounded by Park Slope and Brooklyn Heights. With an easy commute by a bike or by train, you can get to any other Brooklyn neighborhood with ease. Also, Downtown Brooklyn is just a few miles away. Unlike Park Slope and Brooklyn Heights, Carrol Gardens is a more affordable option for everyone looking for a quiet Brooklyn neighborhood. Comparing to its surrounding neighborhoods, Carroll Gardens offers relatively cheaper homes. If you are looking for a brownstone family house, this is the neighborhood you should be looking at. Unlike Park Slope and Brooklyn Heights, Carrol Gardens is a more affordable option for everyone looking for a quiet Brooklyn neighborhood. 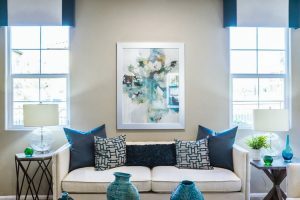 Moreover, the prices per square foot in this area are up to 30% lower than in the surrounding areas. 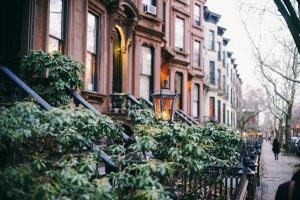 In case you still haven’t found the right neighborhood for your family home, you should consider moving to Carroll Gardens. If you are looking for a charming, small-town feel in Brooklyn, this is a great area for your new home! 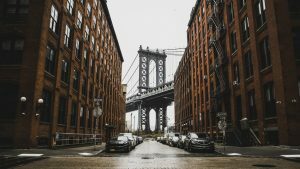 Moving to Brooklyn soon? Let our Carroll Gardens movers help! With our Carroll Gardens movers, you don’t have to stress out about your moving budget. If you are moving on a tight budget, our moving experts will make sure to adjust the moving service. At Dynamic Movers NYC, we always make sure to offer a flexible moving service and a free estimate of the moving costs. With our Carroll Gardens movers, you will never have to worry about additional fees or hidden moving costs. Almost every moving situation is complicated in one way or another. Whether you are moving locally in Brooklyn or moving long distance, you deserve movers with years of experience. Luckily, Dynamic Movers is the company you are looking for. Handling of the heavy inventory, packing fragile items and moving your inventory safely is our priority. If you are moving on a tight budget, our moving experts will make sure to adjust the moving service. Your moving process is not only a stressful period in your life. Besides all the costs and organization, there is always a risk of getting some moving injuries. In order to avoid possible cuts, falls or back pain, you should let professional reliable Brooklyn movers handle the heavy load for you. Our relocation experts from Carroll Gardens have all the right equipment to handle heavy furniture, no matter its size and weight. Get the best moving service in the city! Local moving services is what we specialize in. If you want to move from one part of the city to another, we are the ones to call! Long distance moving services. No matter the distance of your move, our Carroll Gardens movers will help you plan your moving day. If you are moving with your family, let us handle all the hard work and take care of your inventory. Storage services. For all the extra moving boxes and bulky furniture pieces, we’ve prepared convenient storage solutions. Choose the size and the type of your storage and we will find it for you. Office moves. If you are moving your office space to Carroll Gardens, Dynamic Movers are here to help. We will make your inventory’s safety our priority. No matter how far you are moving from, and how much time you have to move, our Carroll Gardens movers are here to let ease the entire process. With our moving services, you can choose the moving date and we will offer the most affordable solution for you. If you contact our Brooklyn movers, we will make sure to listen to every detail of your moving situation. Let us handle all the hard work and ease your relocation day! Our relocation experts from Carroll Gardens have all the right equipment to handle heavy furniture, no matter its size and weight. At our moving company, we offer special prizes for clients who join our Dynamic Referral Program. If you have a friend who needs professional moving assistance, our Carroll Gardens movers are there to help. Give our movers a call and we will offer you a free estimate of your moving costs and help you find the best solution for your moving day!